Sign up to receive a daily summary of the headlines published over the last 24 hours. The A-Town Daily News, the Atascadero news leader, is your local source of Atascadero news and information. Read about breaking news, current events, politics, crime, sports, and wine. 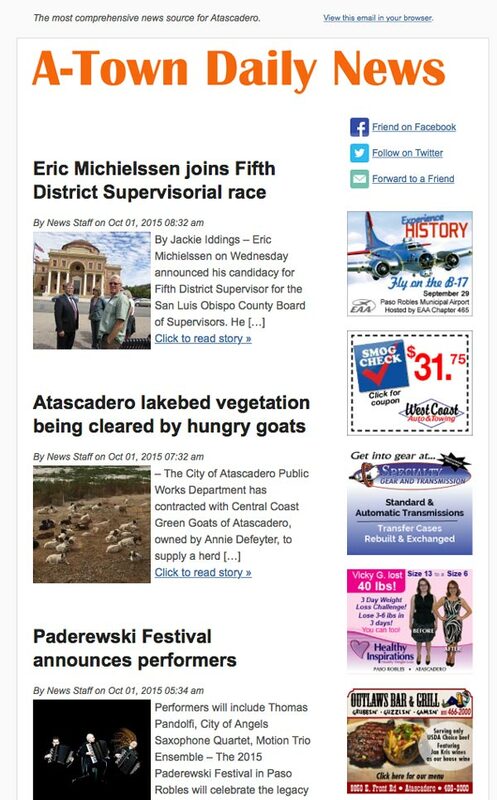 Subscribe to Atascadero news every day in your email. The A-Town Daily News offers original and timely reporting on matters important and interesting to the local community. Comprehensive coverage from local sources make the A-Town Daily News a complete source of Atascadero news. 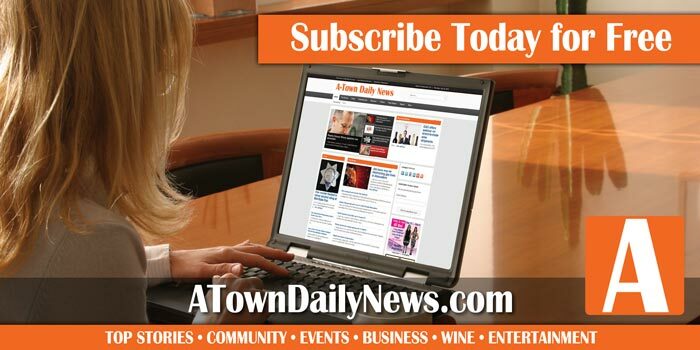 The A-Town Daily News supplies readers with the latest breaking news in community, business, events, wine industry, crime, politics, sports and more. The news site publishes offers original stories from staff writers, contributors and volunteers. It publishes local press releases from community groups, organizations and businesses. We adhere to the highest journalistic standards, seeking accurate reports with attribution. “Our mission is to report on all the news of Atascadero on one site for the convenience of our local readers,” says publisher Scott Brennan, owner of Access Publishing. Access Publishing is a leading San Luis Obispo County media company. “We welcome news from local clubs, teams, companies and organizations looking to promote their news, events and activities. Submissions are subject to editing. “We are accepting and publishing news releases from everyone from small businesses, sports teams and local public relations firms and marketing agencies,” says Brennan.